When you prepare to sell your home, put yourself in the buyer’s seat and really take a good look at your house. Making minor touch-ups could make a favorable impression – and possibly seal the deal. You may want to consider hiring a home stager to help realize the full potential of your home sale. They will give you an honest, non-biased opinion on how you can maximize your home’s assets. Here are some suggestions from our professional home stager, Jacquie Wilson. #1 – The first item on the list is storage! It’s something that every buyer looks for and never has enough of. 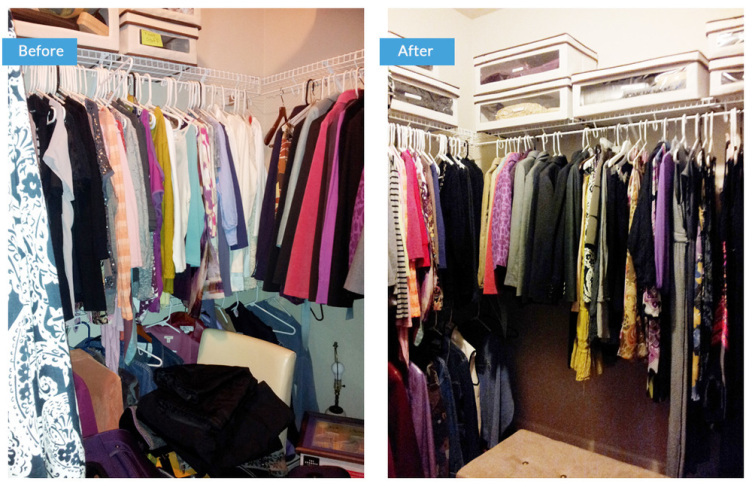 Suggestion: one way to show your home has plenty of storage is to remove things from closets, then neatly organize them. The same can be done with kitchen cabinets. Declutter as much as possible. #2 – Another way to prepare your home to sell faster is to maximize the light. Suggestion: good light is one of the most sought-after points when buyers are looking at homes. Make sure that your windows are clean, increase the wattage/replace light bulbs, take down the heavy drapes and maybe even trim the bushes outside to allow the natural light to come in. Bright and cheery is a definite plus. #3 – Quick fixes or minor touch-ups will pay-off – huge improvement projects won’t! Suggestion: do updates that will help you to get the maximum profit from your sale. Fresh coat of paint on the walls (neutral colors work best), light and airy curtains that allow light in, replacement handles or cabinet hardware, be sure to lubricate squeaking doors, windows and/or cabinets and make sure to check the grout in the kitchen and baths … it should be cleaned or refreshed. #4 – Another important tip is to not make it personal. 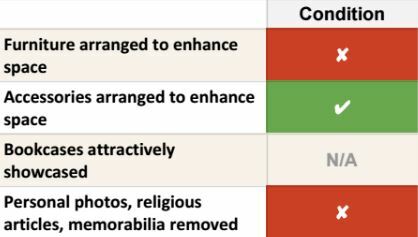 Suggestion: a rule of thumb is to remove a third of your personal stuff and put it in storage – family photos, collections and personal keepsakes – go through and remove at least 1/3 of these items. You want the potential buyers to see themselves in your home. They can’t do that if they can’t imagine themselves living there. #5 – According to the experts, you’re not actually selling your home, but you’re selling your kitchen. Suggestion: some of the fastest, most inexpensive kitchen updates include painting the cabinets and attaching new cabinet hardware. Present potential home buyers with a blank canvas and use a neutral-color pallet. Many home stagers use fresh flowers or a bowl of fruit displayed on the counter to add color and detail. Keep the countertops as clear of clutter as possible. #6 – And remember, you never have a second chance to make a first impression. Suggestion: make sure you look over the exterior of your home … you want people to feel warm and welcome when they walk up to your door. You can spruce up your home’s exterior with inexpensive shrubs, repaint your front door or plant brightly colored flowers. You want their first impression to be positive before they even walk through the door. Everyone wants to sell their home in the least amount of time at the best possible price, right? The simple truth is that homes that are super clean and have neutral, pleasing décor sell faster and for more money than homes that don’t. It doesn’t need to cost a lot of money, just follow these steps and be certain to present your home in its best possible light. Until next time, Happy Staging! 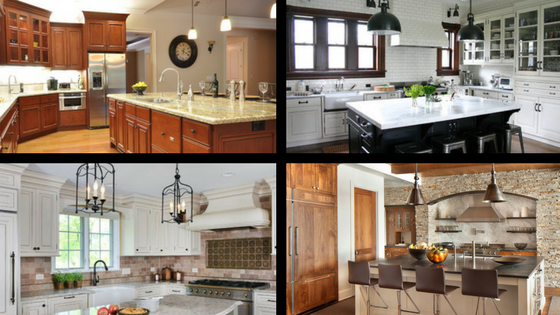 Choosing the right finishes for your home does not need to be complicated. Here are a few tips to help you with your selection. Determine what finishes fit your style. Tip #1 – If you aren’t clearly drawn to certain finishes – and there are a lot out there to choose from – you may want to do some research to discover what your “finish style” is. One of the simplest ways to refresh the look of your home is to upgrade your hardware. This would include cabinet pulls, door knobs, light fixtures, even hinges! According to Schlage.com, whether you want to mix the finishes you currently have to create a unique look or want to tie the whole look of your home together, you need to understand which finish would fit your personal style best. Visit, https://www.schlage.com/en/home/style/style-selector.html to take a simple style selector “quiz” and discover which is right for you. Kitchens – classic to contemporary, what do you like? Can I mix the metal finishes? Tip #2 – Do not be afraid to mix finishes. 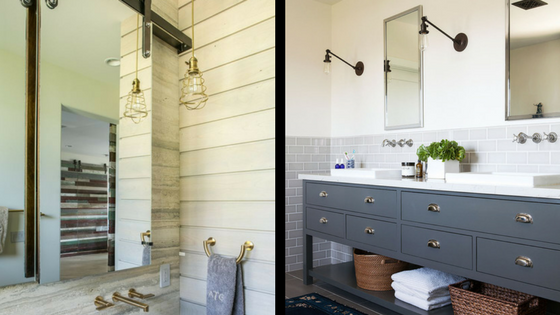 There are varying views on this topic, but if you want to combine different metal finishes – only do so if it adds visual interest or depth to the space. 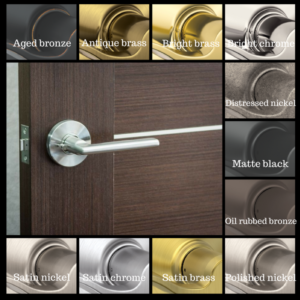 Many people, for example, use satin nickel finishes in their kitchen – faucets and cabinet hardware – but then have matte black door hardware on exterior kitchen doors. These compliment each other and bring visual interest. There are at least eleven (11) finishes available for hardware, along with several styles (from simple and classic to sleek and contemporary). A good rule of thumb is to, ideally, only use two different finishes in a given place. Use one as a prominent tone and the other as an accent. Don’t be afraid to mix metals for added interest. Consider the color palette of your home before selecting the metal tones. Tip #3 – Another important thing to remember is paint color. Typically, warm metals (such as gold, brass or copper) are paired with warm hues of color (like red, brown and yellow). Cool metals (such as chrome or silver) would look great with cool hues (like blue, green and violet). If you have a neutral décor, metallic accents can bring in added warmth, texture and color. Think of choosing the right finish like selecting “jewelry” for your home. It is a matter of personal style and does not need to be complicated. If you would like more assistance in choosing the right finishes, please contact us through our Facebook, Twitter or Instagram channels or through the contact form on our website. Once you decide to sell your home, you need to find the right balance between personal and impersonal décor. Staging your home for the real estate market can be difficult sometimes. There is so much information on the internet on what to do and what not to do. Here are a few simple suggestions on how you should stage your home to sell. #1 – Don’t make it too personal! A potential buyer should see themselves in your home – they should picture their furniture and personal items. 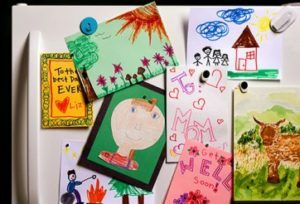 We know that you love the collage of family photos in the hallway and the display of your children’s artwork on the refrigerator, but it may be a better idea to pack some of those personal mementos away. You can bring them back out when you move to your new home. #2 – No “theme” rooms! 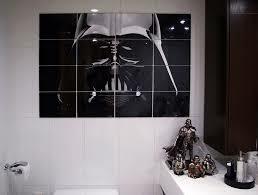 Do you have a room in your home that you have themed from your favorite movie or sports team? While it was fun to decorate and spend time in, when you are selling your home … it may be the only room that a potential buyer will remember. And just like Fixer Upper and Chip’s fond names for the houses that they show, your home will become the “Star Wars” bathroom home. 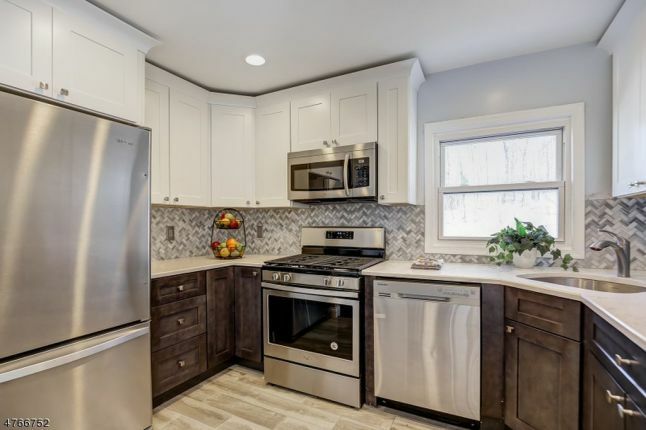 The focus should be on the positive features of your space such as the beautiful cabinets in the kitchen, the natural hardwood floors or the gigantic walk-in shower. That is what you want potential homebuyers to think of. #3 – Paint color fiasco! Choosing the wrong paint color can also determine what your potential buyer will remember about your home. You want to make sure that anyone who views your home will feel like the home is move-in ready! NOT … oh no, I will need to re-paint that living room or it will clash with our furniture! By using a neutral palette when you paint, you can appeal to more buyers AND you can still add the color you want through artwork or accessories. 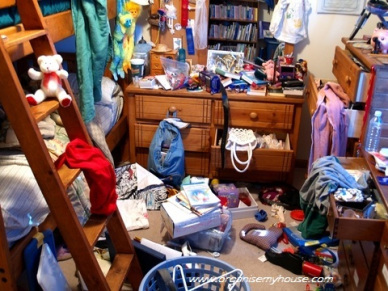 #4 – Do not forget the clutter! Most people who are selling their home, live in the home until it is sold. It is quite easy to overlook things that clutter up your living space. There will be potential buyers who do not have kids, and your home needs to appeal to them, too! Decluttering your child’s bedroom, removing toys from the living room – as well as making sure that your storage areas are organized – will definitely benefit you in the long run. When a buyer walks through your home, you do not want them distracted with all the items in the home, but instead focused on all the features of the space. If you will not be living in your home while trying to sell it and it is going to be vacant, you should consider staging the home. A vacant home can be the hardest house to sell. 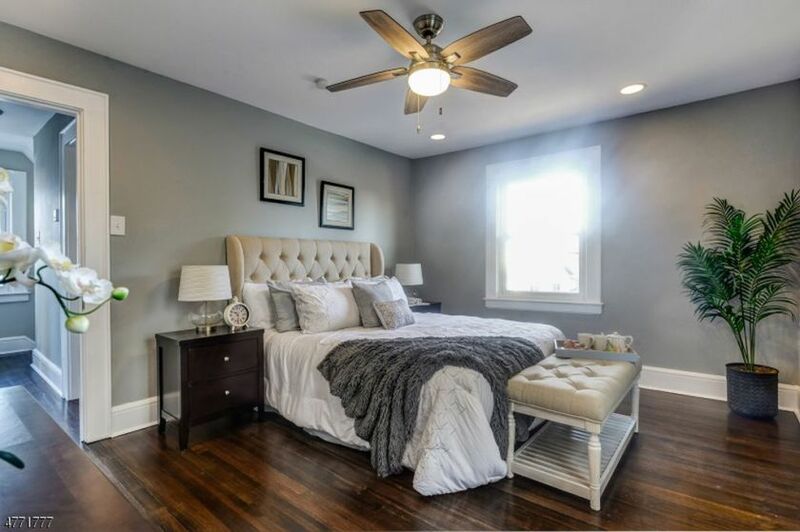 By using furnishings and accessories that reflect the asking price of the home, Professional Home Staging and Design New Jersey can showcase your property to its fullest potential. We will dramatically change the feel of the home by creating a warm, welcoming feeling to the prospective buyer from our warehouse of furniture. Each month, I have the pleasure of meeting realtors from all over the Garden State to discuss their needs, challenges, and opportunities from season to season. While most of our returning clients often request stagings for vacant homes, we’ve been receiving more inquiries for furnished stagings. These situations occur when there’s a desire to incorporate the homeowner’s existing furnishings into the design. For those consultations, I typically meet both the realtor and the homeowner on-site and we walk through the entire property, room by room, to evaluate each area’s potential. I then share a detailed report of recommendations where everything that’s in good shape is clearly delineated from the suggestions on what to fix or improve before it goes on the market. But as I was getting more feedback from realtors about this process, they were wondering how to address those properties where the homeowners know they need staging support, but don’t necessarily require a formal consultation beforehand. That’s when we decided to come up with our new “Home Selling Checklist” flyer which clearly lists how to spruce up each area of the home right before our staging crew arrives on the scene. But rather than only marketing our staging services, I thought it would be beneficial if we co-brand the flyer with realtors in every community. If you’re interested in learning more about co-branding with us to target your town’s market with this full-service home selling resource, please call us today so we can discuss further. Our goal is to have each corner of the state represented by partnering with realtors representing every region. Each time we get homeowner requests in those towns, we can directly refer them to the local realtor we’ve partnered with for this promotion. It’s truly a win-win situation to sell as many homes as quickly as possible for the highest return on investment! 1. Most stagers charge a fee for the initial vacant home consultation. I choose not to as I understand that every dollar counts when factoring in renovation and carrying costs. You could say that my vacant tours of your properties are “on the house”! But that’s not where the extra fees end for other stagers. Many also charge several other fees that we don’t, such as accessory rental fees in addition to the main furniture itself, as well as numerous delivery surcharges. One upfront fee with everything included is our preference. 2. We take great care to ensure that each space we stage is warm and inviting. Some stagers believe that just one or two pieces of furniture is all that’s needed to help fill an empty space. You’ll sometimes see “stagings” where a living room only has a sofa and maybe an accent chair with literally nothing else in the room. It’s not surprising when those properties stay on the market longer than properties we worked on. 3. Did you know that we own all of our furnishings and accessories? Most stagers can’t say that. They typically rent from other companies and then charge their clients not only the rental fee they’re fronting, but design fees on top of that. With our stagings, there’s no fear of your property being staged with items in poor condition. You also don’t have to worry about the items being tagged for use at another property if you need a rental extension. We can be more flexible and provide a more diverse array of options without charging anything extra for the higher quality. Our team also continues to research how to best streamline our procedures so that you spend less time worrying about paperwork and more time focused on selling your home. In the past year, we’ve converted to e-signing for contracts as well as providing more online payment options. We’re always testing out new features to make sure you’re getting the most professional service possible. So as you can see, there are a lot of ways that choosing Professional Home Staging and Design truly maximizes your staging potential. Choosing us above the rest is a choice for higher quality at more affordable rates with service that’s second to none. I look forward to our next project together. Until then, Happy Staging! What does home staging and William Shakespeare have in common? When Shakespeare declared that “all the world is a stage” little did he realize that the world of real estate and home staging would grab his metaphor and make it their own. Home staging, by definition, is the act of preparing a private residence for sale in the real estate marketplace. The goal of staging is to make the home appeal to the highest number of potential buyers – selling a property more swiftly and for more money. Your home is your home, until you decide to sell it! Then it becomes a marketable product … features, benefits, pluses, minuses and competition … your home needs to look better than any other home in that price range. Back in 1985, Barb Schwarz pioneered the staging concept and stated that “your investment in home staging will always be less than your first price reduction” – if done appropriately and priced correctly. Her vision of home staging has resulted in staged homes spending 80% less time on the market than non-staged homes. 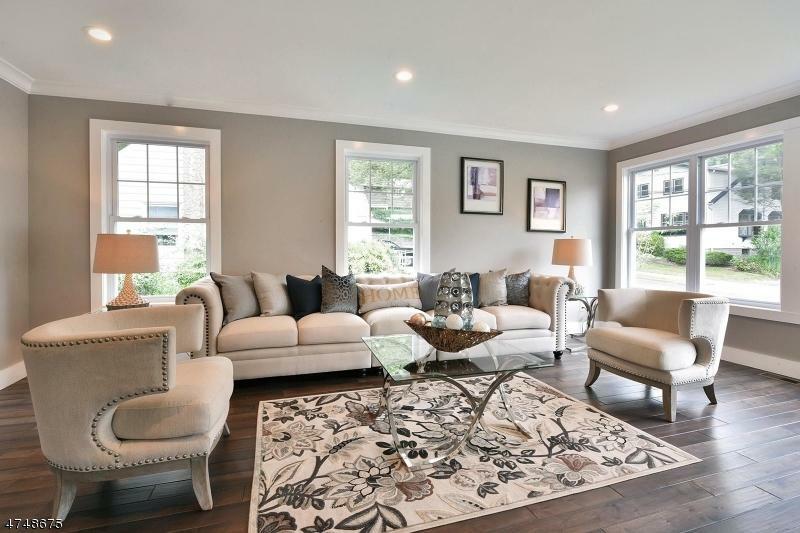 Professional Home Staging NJ would like to help you with selling your home. We offer vacant home staging consultations, “on the house”. Please contact us and see how home staging is in your best interest. We LOVE Staging! If you want to share some love with us, don’t forget to Like our Facebookpage or Follow our Twitter feed. Better yet, send us your own testimonial. Have you been getting comments that the kitchen’s floor plan is great but something just isn’t quite working? Consider upgrading your cabinets in the most cost-effective way by adding a fresh coat of paint. Don’t forget to add new knobs and hardware to modernize the entire look. If you’re unsure which color palette to start with, reach out to us for a paint consultation. 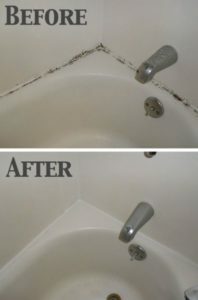 Make sure the caulking around each bathtub and shower is smooth and even. If not, chip away at the old caulking and add a fresh lining. 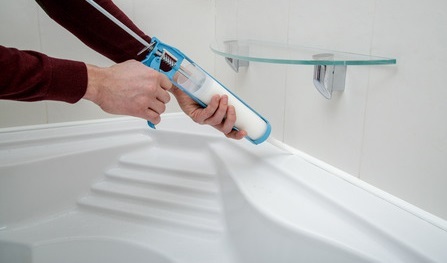 Not only does this help prevent future leaks, it will give each bathroom a polished new look. As spacious and inviting a master suite can be, we often hear how much closet space plays a factor when homeowners are weighing all of their options. 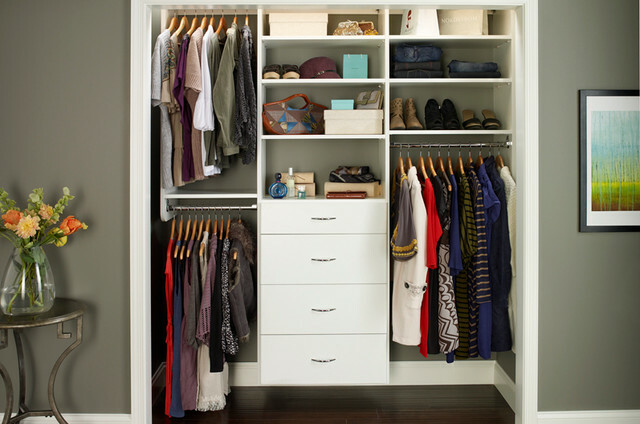 Consider installing drawers and cabinet organizers inside the bedroom closets. Even adding some simple shelving into other spare corners throughout the home will do wonders for encouraging buyers they can easily fit all of their possessions in without cluttering up their new home. When all is said and done, the best thing you can do to get your home sold quickly in any season is by staging it. We look forward to another prosperous year working with you to make each and every home look its best!